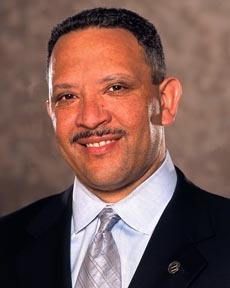 The U.S. Census Bureau named National Urban League President Marc Morial chairmain of the Census Advisory Committee. Morial’s responsibilities include providing advice on the design and implementation of the Census. “I am honored by the opportunity to chair the 2010 Census Advisory Committee which is tasked with advising Commerce Secretary Gary Locke,â€ Morial said. Morial, has served as the National League’s president since 2003. Prior to his work with the organization, he carried out two terms as mayor of New Orleans from 1994 to 2002. 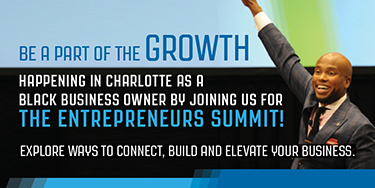 He will still reside over the Urban League will serving out his chairmanship. President Barack Obama boosted aid to the Census Bureau with the passage of his $787 billion stimulus plan. Under the plan the bureau received $1 billion to ramp up outreach efforts in minority communities and increase staffing at local census offices. Frank Melton, the indicted mayor of Jackson, Mississippi, died early Thursday after suffering cardiac arrest. His death came less than two days after he lost his bid for a second term in office. City spokeswoman Goldia Revies told reporters Melton died peacefullyÂ with his wife by his side at a local hospital, where he was taken by ambulance from his home Tuesday night. He had a history of serious heart ailments. Melton had been discovered unconscious in his home just moments after polls closed in the Democratic primary in which he finished third, according to results. He faced opposition from 15 candidates. Wednesday, the Jackson City Council elected its own president, Dr. Leslie B. McLemore, as acting mayor in an emergency session. The controversial 60-year-old mayor had his share of legal woes. At the time of his death, he and a former bodyguard had faced a trial beginning next week on federal civil rights charges stemming from a vigilante-style raid on a suspected crack house. Melton called his sledgehammer demolition of the property an “administrative mistake.â€ It would have been the third time in three years he’d face charges stemming from the 2006 incident. A judge declared a mistrial in February after a jury failed to reach a verdict and in 2007, Melton was acquitted on state charges stemming from the same incident. As reported by The New York Times, Melton was known for his “flashy, hands-on approach” to combating crime, carrying a police badge, guns, a bulletproof jacket, and a large stick while patrolling Jackson’s toughest areas, although he was not a certified policeman. Before the primary, he won a case against The Jackson Municipal Democratic Executive Committee who voted unanimously to remove him from the Democratic Ballot. He is survived by his wife, Ellen, and two children. A memorial service is scheduled for Tuesday, May 12, at noon at Thalia Mara Hall in downtown Jackson.Â Melton will be buried in his native Texas.